The Lord Bishop of Southwark: My Lords, when do Her Majesty’s Government intend to implement in full the principal recommendations of the Parliamentary Commission on Banking Standards, published in June 2013? 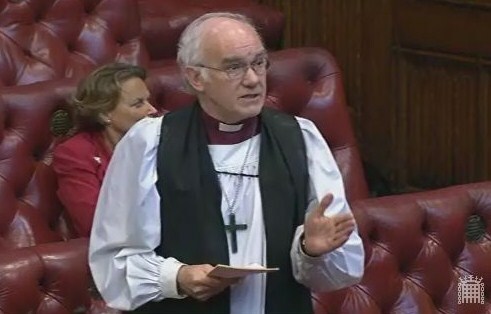 On 8th September 2016 the Bishop of St Albans, Rt Revd Alan Smith, led a debate in the House of Lords: “To ask Her Majesty’s Government what is their assessment of progress towards implementing the recommendations contained within the report of the Parliamentary Commission on Banking Standards, Changing banking for good.” The Archbishop of Canterbury, Most Rev & Rt Hon Justin Welby spoke in the debate, having previously served on the Parliamentary Commission on Banking Standards. The Bishop of St Albans’ opening speech and the response of the Minister can be read here. The Archbishop of Canterbury: My Lords, I add my congratulations to those of other noble Lords on the appointment of the noble Lord, Lord Ashton, as the Minister at DCMS. I have no doubt that we will come across each other again as “C”, “M” and “S” all seem to cover the Church in various forms. I should also say that I served on the Parliamentary Commission on Banking Standards and had the very good fortune to do so with the noble Baroness, Lady Kramer, from whom I learned a great deal. I am also chairman of the Church Commissioners, who were involved in seeking to buy some of the spin-off assets of the Royal Bank of Scotland. The Bishop’s opening speech is below, followed by the response of the Minister. 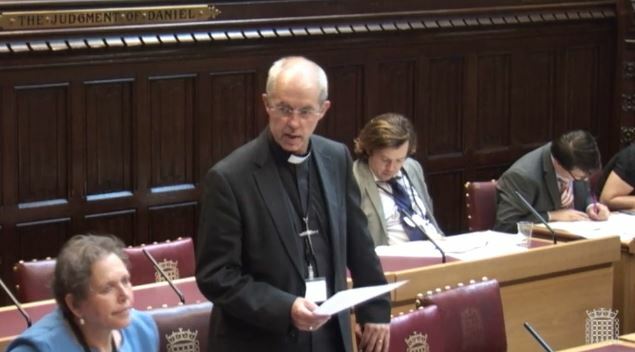 Other members spoke in the debate, including the Archbishop of Canterbury (speech here) who had served on the Parliamentary Commission on Banking Standards. 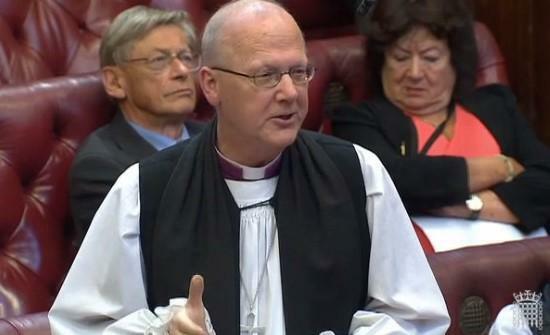 The Lord Bishop of St Albans: My Lords, I start this debate by saying how pleased I am to see the Minister responding today in his last time in his present role, although I look forward to working with him when he takes up his new duties at DCMS. “Banks in the UK have failed in many respects. They have failed taxpayers, who had to bail out a number of banks including some major institutions, with a cash outlay peaking at £133 billion, equivalent to more than £2,000 for every person in the UK. They have failed many retail customers, with widespread product mis-selling. They have failed their own shareholders, by delivering poor long-term returns and destroying shareholder value. They have failed in their basic function to finance economic growth, with businesses unable to obtain the loans that they need at an acceptable price”. On the 6th July 2015 Baroness Wheatcroft asked Her Majesty’s Government “whether the effects of algorithmic trading are being monitored and sufficiently regulated”. The Bishop of Chester, the Rt Revd Peter Forster asked a supplementary question.